Stage2Data Inc. is a premier Cloud Solution Provider offering robust cloud disaster recovery that is a hosted service, protecting your key servers along with your data. In the event of a site disaster, a team of DR experts will manage the recovery process and guide you through the process of gaining virtual access to its mission-critical servers. The strength of Stage2Data remote disaster recovery and 24/7 support is included in the service. Working with Stage2Data, you can now utilize the ORION network to achieve Recovery Point Objectives (RPOs) of seconds and Recovery Time Objectives (RTOs) of minutes. We can help you with software defined application aware Disaster Recovery (DR) solutions that eliminate worry by leveraging the Stage2Data Private, Hybrid, and Public Cloud Service Offerings. Stage2Data offers a robust Cloud Disaster Recovery that is a hosted service protecting your key servers, along with your data. In the event of a site disaster, a team of DR experts will manage the recovery process and guide you through the process of gaining virtual access to our mission-critical servers. 24/7 support is included in the service. Stage2Data Remote Disaster Recovery (RDR) provides professionals to handle your recovery when disaster strikes, and hassle-free installation that is easy to implement. It is also compatible with existing infrastructure, so no new investments in stand-by servers are needed. Stage2Data RDR is also tested – the onboarding service includes one recovery test. 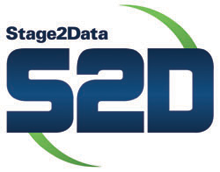 Stage2Data also minimizes, reduces or eliminates IT support costs, all at affordable, low monthly price. The Stage2Data Cloud Hosting Model eliminates 3-5 year hardware upgrade cycle and related maintenance and capital costs. It is SSAE and CSAE Certified, provides 24/7 support and allows for flexible expansion, which is easily scalable with your growth. There is no need for onsite hardware maintenance staff. Achieve economies of scale, get more done with less, while minimizing risks with better redundancies. Reduce electricity and air conditioner costs. Stage2Data Infrastructure as a Service (IAAS) cloud platform enables substantially more reliable web hosting with no more worries about failed servers, dead power supplies, failed hard drives or any other hardware related issues.